Trove of Electrical and Computer Engineering 3050 Quizzes, Homework, and Worksheets from Georgia Tech « Adafruit Industries – Makers, hackers, artists, designers and engineers! 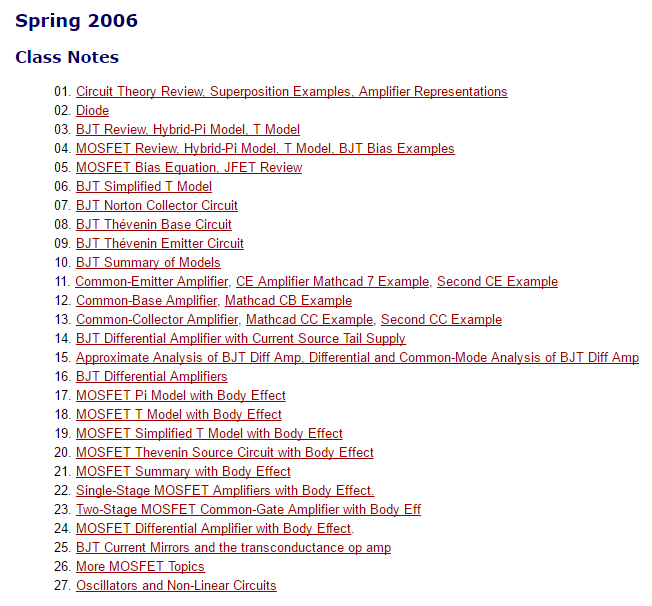 Some of these links, worksheets, and homework assignments are over 15 years old but a MOSFET bias equation is eternal. 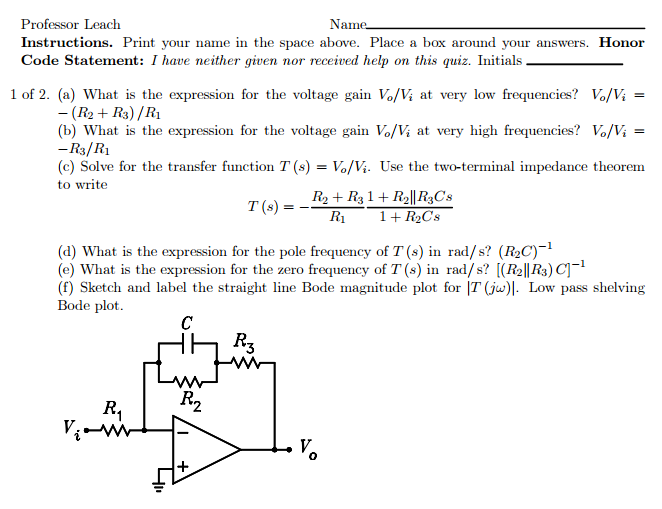 Check out the full archive of lessons ‘for ECE 3050 Analog Electronics, taught by Dr. W. Marshall Leach, Jr.’ available here on the Georgia Tech domain.